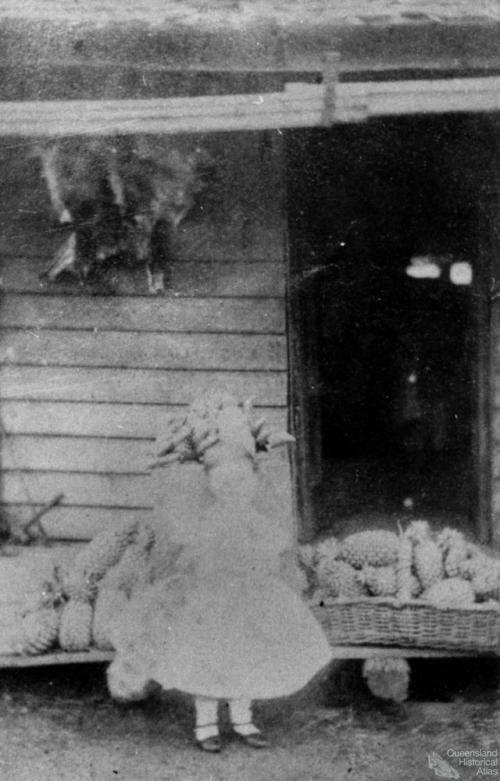 John Nicholson's daughter with part of their pineapple crop at Grovely, Brisbane, Queensland, 1864. 'Grovely is situated in the valley between the Taylor Range and Arana Hills. Mrs E Buikstra checks slices of pineapple for faults, Northgate cannery, 1959. 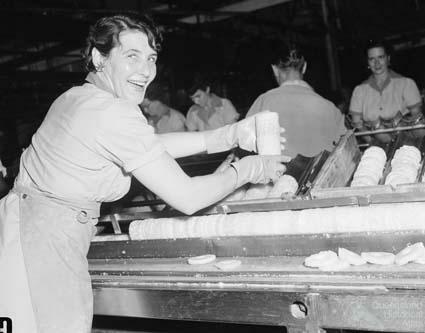 'Immigrants, particularly married women, rush the huge Northgate pineapple cannery, Brisbane, QLD, for seasonal work at the height of the summer pineapple crop. They work long hours but each week collect pay envelops fattened by penalty rates. Unskilled men get up to £31 a week and unskilled women, up to £21. The cannery processes up to 600 000 pineapples a day and employs up to 1600 workers. Last year more than half the 64 million cans processed were exported to Europe.